mTalkz is a Digital Advertising Agency based out in Delhi, India. We offer computerized showcasing system, E-Commerce Solutions , Search Engine Optimization, Pay Per Click, Social Media Marketing, Email Marketing and in general Digital advertising administrations. We are taking into account our customers based out of USA, Canada, UK, Singapore, Dubai, UAE, Australia and different parts of the World. At mTalkz, we are enthusiastic about everything advanced and convincing business results for you. Our aptitude lies in applying propelled e-Marketing information to complex business issues and convey a compelling answer to make best online client encounter on your web properties. As a Digital Marketing Company in Delhi, we offer a computerized methodology, arranging and innovativeness, bringing about completely oversaw and very useful web-based advertising efforts. On the off chance that you need to encounter results-centered advanced showcasing which you can gauge, upgrade and enhance your Return On Investment, Please don’t hesitate to get in touch with a standout amongst other Digital marketing agencies in India. 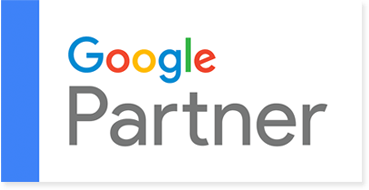 A Google partner can make all the difference. mTalkz.com is a certified Google Partner, which means the search engine has certified our knowledge and experience of Google applications and tools. Also, we have access to specialized Google training and products, and a dedicated Google representative. Whether you are in e-commerce, technology, retail, dentistry, or B2B, you will benefit working with mTalkz.com. Search engine optimization is an essential factor in a business’s marketing and sales strategy. As internet users are increasing, having a web presence has become increasingly important if not vital. It depends on your requirement that what kind of product your selling. WHICH IS BETTER SEM OR SEO? Appear On the Front Page of Google With India’s Best Digital Marketing Agency! Want to generate leads for your business? Digital Marketing is the right choice for you . Get Organic & Paid traffic at your Website Doorstep!